Discover a subterranean world of wonder and experience Luray Caverns in virtual reality. You can also view it on YouTube with a VR headset. Be sure to use your headphones for the guided audio tour, and be sure to visit us in person for the full Luray Caverns experience. Get ideas for your next classroom learning activity. Get information about private tours and field trips to Luray Caverns. Get all 10 questions correct and you just might know too much. We’re in a global dance between shifting continents and tectonic plates. Continental drift occurred 600 million years ago. The ancient sea flooded the area known as the Appalachians. Sediments accumulated on the ocean floor, followed by limestone from fossilized marine animals and shells. The two layers formed into metamorphic rock. When North America and Africa collided, it caused the layer of metamorphic rock to tilt upward, creating the Appalachian Mountains. Geology and chemistry are part of nature’s decorating process. As rainwater seeps through decaying vegetation in the soil, it picks up diluted carbonic acid. The acidified water percolates through limestone, dissolving and eroding layers along the way. It descends into lower levels of the earth and leaves huge chambers. Calcium carbonate enters the cave and releases carbon dioxide. Over time, what starts as slow seepage and thin deposits of crystallized calcite becomes the massive forms that you see in Luray Caverns today. These formations continue to grow at the rate of one cubic inch every 120 years. You’ve heard some. You’ve read some. You’ve learned some. Now put it to the test. And even if you don’t know the answer, no worries, this quiz let’s you learn all along the way. The reds and yellows of the caverns are due to _________? The reds and yellows of the caverns are due to Iron. Formations at Luray Caverns formed as a result from a solution of ___________ giving up some of its carbon dioxide, thus allowing a precipitation of lime to form. Formations at Luray Caverns formed as a result from a solution of Calcium Carbonate giving up some of its carbon dioxide, thus allowing a precipitation of lime to form. 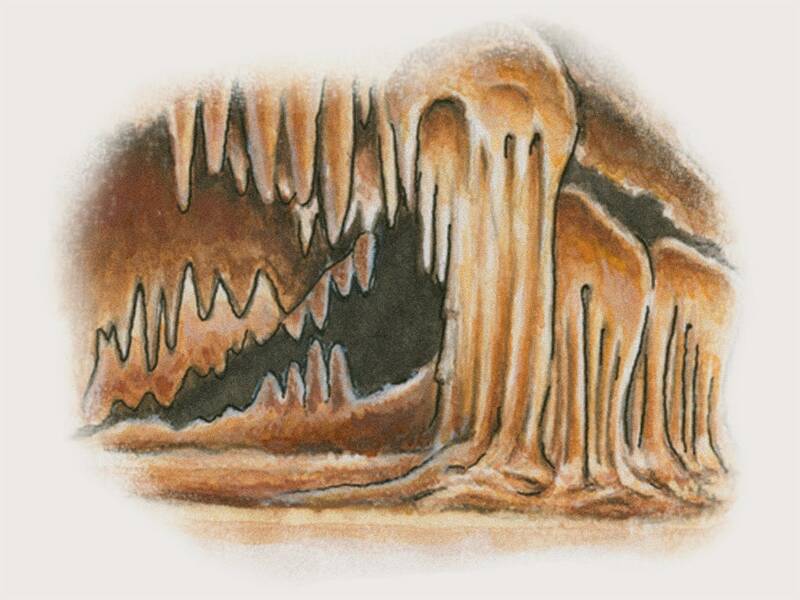 When were Luray Caverns first discovered? Luray Caverns were first discovered in 1878. Luray Caverns is an active cave where new deposits accumulate at the rate of one cubic inch every _____ years? New deposits in Luray Caverns accumulate at the rate of one cubic inch every 120 years. What is the largest body of water in the caverns? Dream Lake is the largest body of water in Luray Caverns. What temperature does Luray Caverns stay uniformly? Luray Caverns remains a cool 54 °F. What factor impacts the color and shape of formations? The rate and direction of the seepage determines the color and shape of formations. Which cave formation is formed in a fluted and uniformed fashion from the ceiling down? Stalactites form from the ceiling. When spread over a ledge, mineral- bearing water forms massive draperies, frozen waterfalls, veils and tents. Which cave formation is built with distinct mounds and ridges on their way toward the ceiling? Stalagmites form on the floor. When Stalagmites and Stalagmites grow together they form columns. The coloration in Luray Caverns is caused by many different ________ in the seeping ground water? Minerals cause the array of colors throughout Luray Caverns. Good going! You got 0 correct. 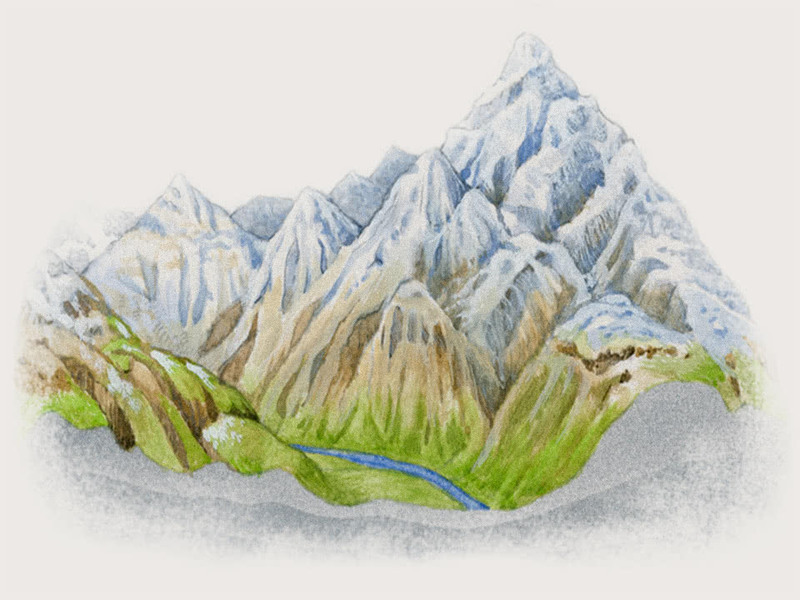 Hey teachers, download these fun and easy experiments to bring geology to life. Your students will have a blast and they’ll learn something new without even realizing it! Have an idea or educational activity that you’d love to share? Send us an email below. The best way to learn something is to experience it! Bring your students to Luray Caverns, where history meets science in a live lesson that your kids will never forget. Complete the contact form and one of our Cave Experts will help you plan your adventure.